We noted before how former WWE Champion AJ Styles suffered an injury during his WrestleMania match against Randy Orton. Due to the injury, Styles had to miss a couple of his scheduled appearances including this week’s episode of SmackDown Live. At the time, there weren’t many details available on his condition. Though during a recent Mixer stream, the Phenomenal one provided some information on his health while playing Player Unknown’s Battleground. Styles confirmed the reports that he was sent home after WrestleMania and had to miss both his scheduled Axxess appearance and SmackDown Live due to his condition. However while many believed that AJ suffered the injury while doing a Forearm from the ring onto the floor, the former Champion revealed that the actual reason for the damage was a superplex he took during the bout. Continuing on the topic, he explained that while landing, he hit his left side a bit before his right side. It caused his hips to get knocked out of the place and due to it the muscles in his back were all swollen up. The SmackDown Star admitted that he wasn’t able to walk properly the next day but mentioned that the wrong fall was his own fault and not his opponent’s. 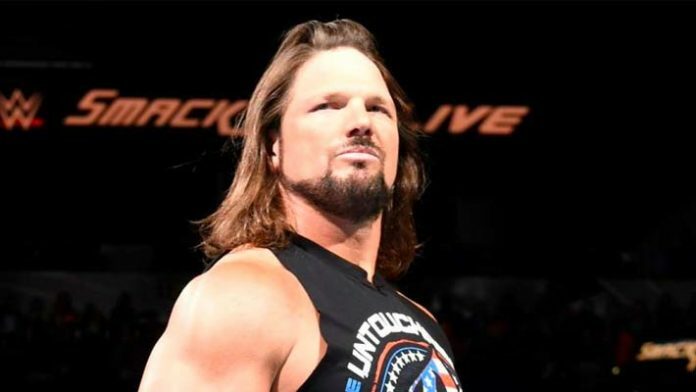 Thankfully, the X Rays all came back positive and according to AJ Styles, he didn’t break any bone. It showed only tissue damage so he should be good to return to action soon. While there is no set timetable for his return, the former TNA Star mentioned that he hopes to return to the ring by next week and it’d be interesting to see if he makes it back before the Superstar Shakeup.